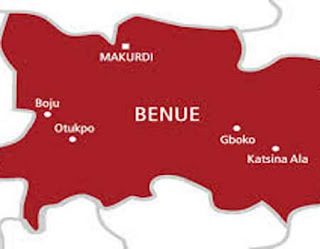 Tension is currently heightened across Benue State, 48 hours before the enforcement of Open Grazing Prohibition and Ranches Establishment Law, 2017 popularly known as anti-open grazing law. Investigation by Tribune revealed that since the alarm raised by a socio- cultural group in the state of an alleged plot to attack farmers, palpable fear has gripped both farmers and herdsmen in the state. While some of the farmers told our correspondent in Makurdi that the alarm should not be taken with levity, the herdsmen said they had concluded arrangement to vacate the state. Calls made to local farmers in Agatu, Logo, Kwande, KatsinaAla, Guma and Buruku local government areas (flash points in the state) revealed unease among the farmers and herdsmen. Some of the farmers who spoke to our correspondent said that they were not taking the threat with a pinch of salt, stressing that it had become an annual ritual for herdsmen to attack Benue farmers during dry season. A farmer, Chief Tony Kajo, who spoke to our correspondent from Katsina Ala said, “we all know that the herdsmen have turned Benue to battle zone in their quest to feed their cattle and this has been happening during dry season since 2012. Also speaking, Inalegwu Audu from Agatu Local Government Area of the state hinted that the people of the community did not take the threat lightly. “Our appeal is that President Buhari should fortify the borders not to allow the infiltration of foreign Fulani herdsmen into the state through Cameroon and Niger Republic,” he said. However, the state commissioner of police, Mr Bashir Makama said he was not aware of any threat to attack the state as being canvassed by a pan-socio-cultural group adding that the new anti- grazing law was meant to take care of everybody. He noted that the implementors of the law were in the best position to tell the public the level of their preparedness to enforce the law. Meanwhile, Fulani herdsmen in the state had concluded plan to vacate the state following the commencement over the anti open grazing law. Speaking Tribune on Friday, national coordinator, Miyeittii Allah Cattle Breeders Association of Nigeria, MACBAN, Alhaji Garus Gololo, said that all Fulani herdsmen resident in Benue State have concluded arrangement to relocate. The national coordinator predicated his argument on non readiness of the state government to make adequate provision for cattle ranches.